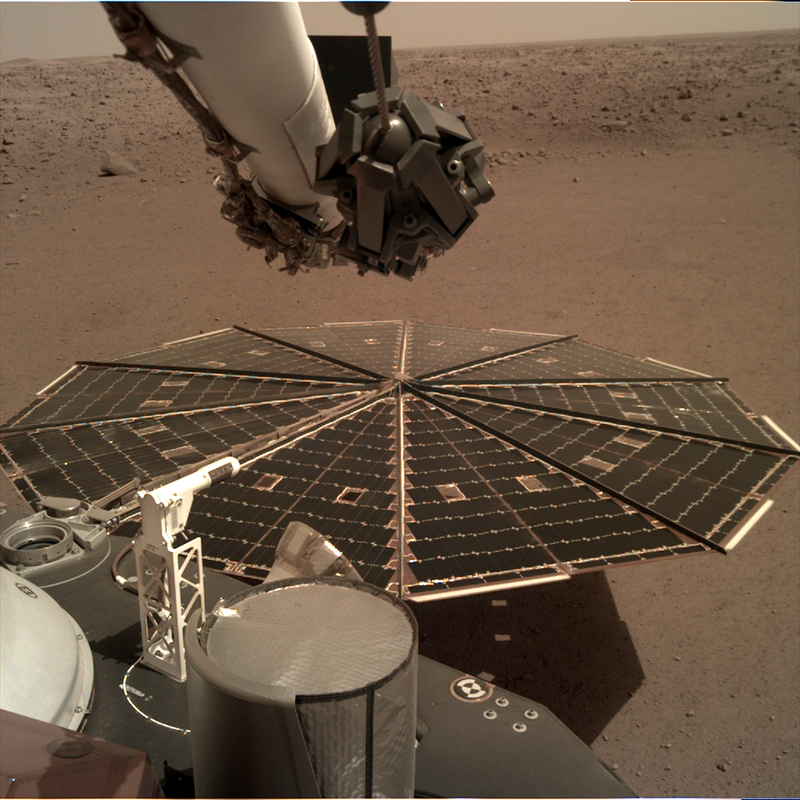 One of InSight’s 7-foot (2.2 meter) wide solar panels was imaged by the lander’s Instrument Deployment Camera, which is fixed to the elbow of its robotic arm. NASA’s Interior Exploration using Seismic Investigations, Geodesy and Heat Transport (InSight) lander, which touched down on Mars just 10 days ago, has provided the first ever “sounds” of Martian winds on the Red Planet. A media teleconference about these sounds will be held today at 12:30 p.m. EST (9:30 a.m. PST).